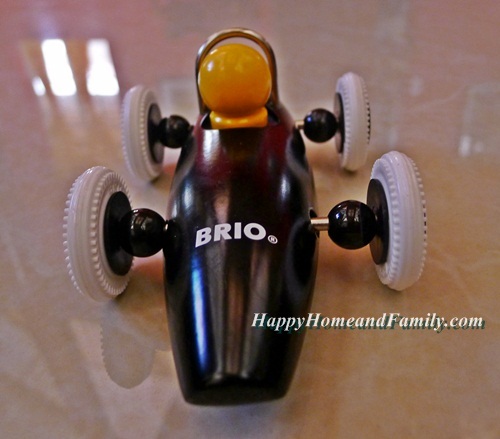 This is one of Sean’s favorite toy at the moment – a Brio Car from Hello baby. I like the design myself, it is very sleek and the quality is superb!! I was not afraid that some parts would come off because it was built very well with small kids in mind. I didn’t think they still make wooden cars but when I got this toy for my son, I was surprised! 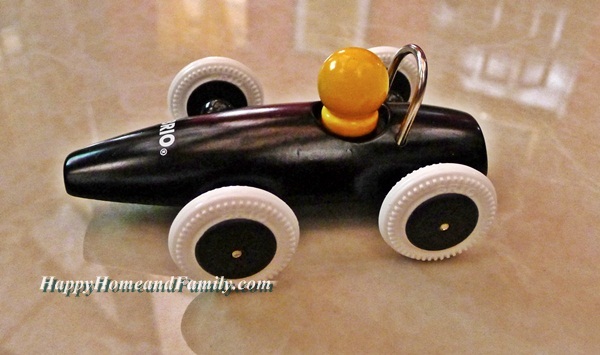 Brio’s classic wooden race car is easy to grasp and to play with. Even children who cannot stand can sit and push the car. By stretching and reaching for moving objects, children improve their coordination and learn to explore the world around them. Based in Sweden, Brio is the world’s largest manufacturer of wooden toys. Wooden BRIO toys are characterised by quality and durability, and are often handed down from generation to generation. A Brio toy is not only educational, but also a joy to play with. As all good toys should be. I highly recommend this toy for your children. Head over HERE to their website to buy the Brio Car and/or many other wonderful baby related products! I agree on checking the quality just recent I purchased a toy for my baby and he break it in two days. @Arena you manage to purchase? @Arena that’s great are you going to make a review of it? Brio toys are so great – much better quality than the plastic stuff and quite durable. My kids have always loved them.